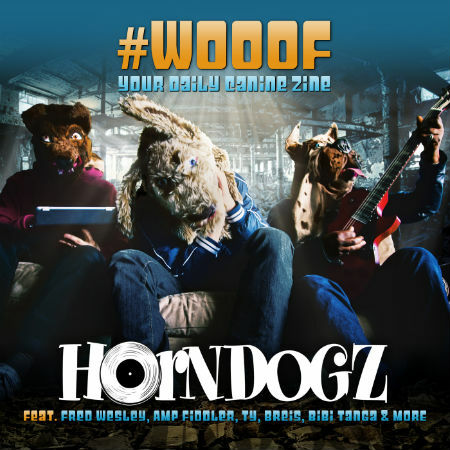 On the heels of the release of debut album “#Wooof, Your Daily Canine Zine”, funky French trio Horndogz are ready to reveal the brand new video to single “Paris feat. Mike Larry the Classic & Jude Kidsude Pericles”, an ode to the city in which they live and work, directed by Skandre UB & Rico Kerridge. “Paris” is a jazzy hip hop number that provides a perfect example of the blend of uplifting, soulful rap and groovy funk tunes that can be found on album “#Wooof”, which sees the participation of a host of illustrious guests that go from Fred Wesley to Amp Fiddler, passing by British rappers Ty and Breis, soulful songstress Mary Griffin, American mc Blitz the Ambassador and many more!